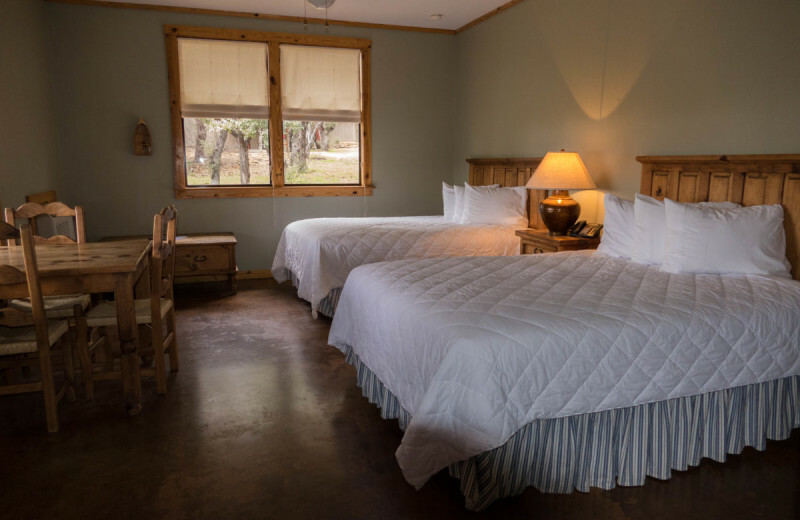 Canyon of the Eagles Nature Resort is an ideal vacation for adventurers and for those who just want to get away. 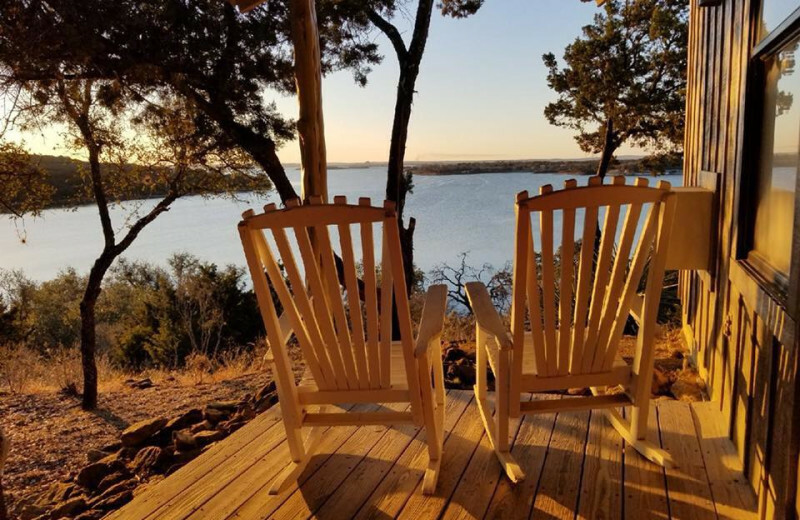 Just one-hour northwest of Austin, this secluded, 940-acre Hill Country resort and nature park features beautiful nature trails and the pristine Lake Buchanan. 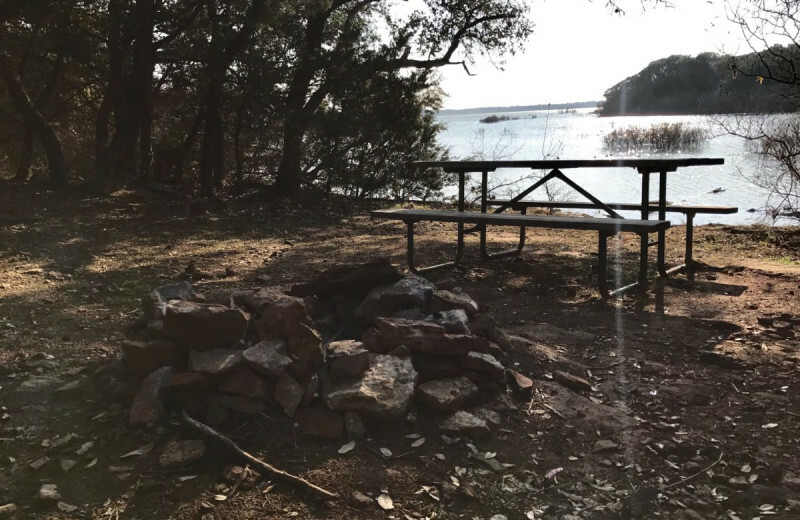 This is where you can leave behind your worries and bask in the beauty of the great outdoors in a variety of exciting ways. 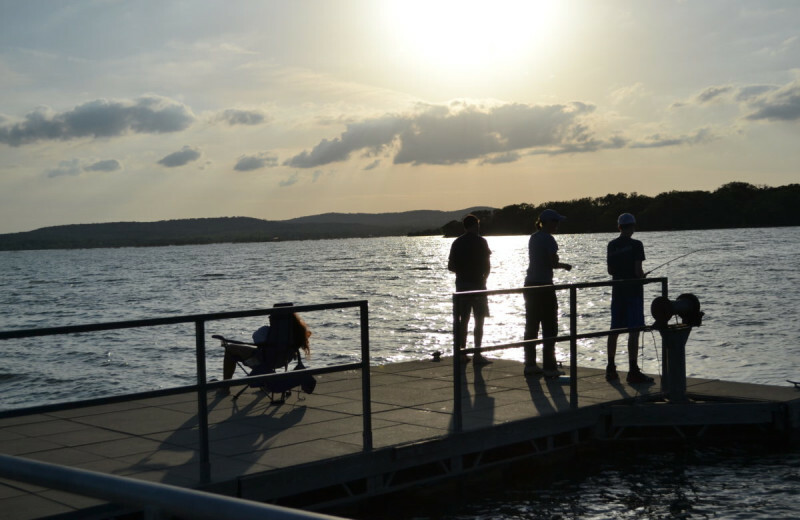 Cast your line on a fishing trip at the lake, take things easy with a quiet kayaking or paddle boarding trip, or enjoy a Canyon Cruise across the waters of Lake Buchanan. 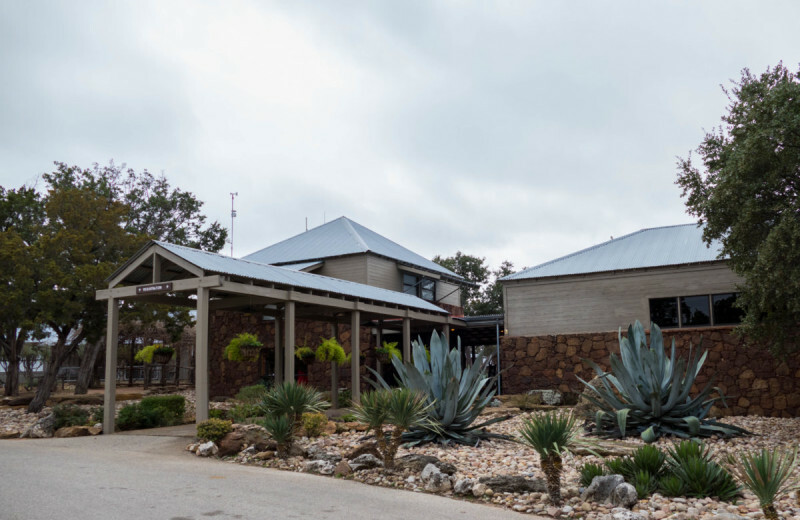 Onsite you'll find their spacious amphitheater, an outdoor pool, and a variety of entertainment programs such as a reptile show, children's programs, and live music. 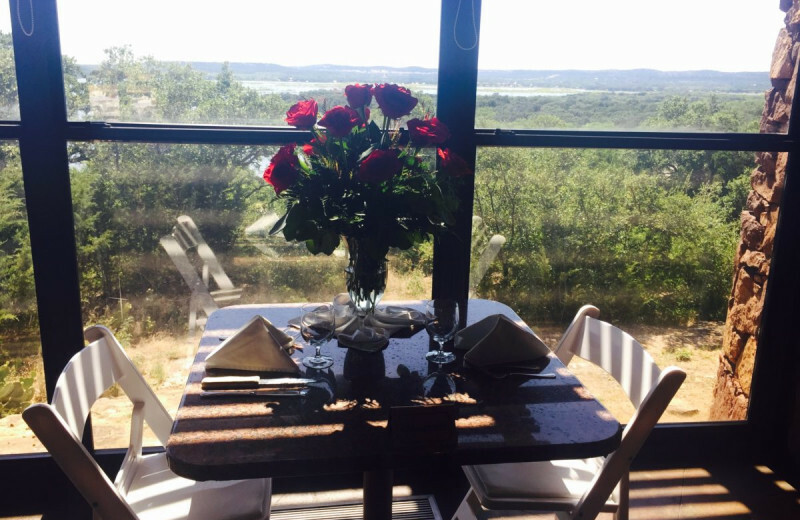 For Hill Country corporate retreats, reunions, and weddings the Overlook Restaurant features full-service dining and catering! 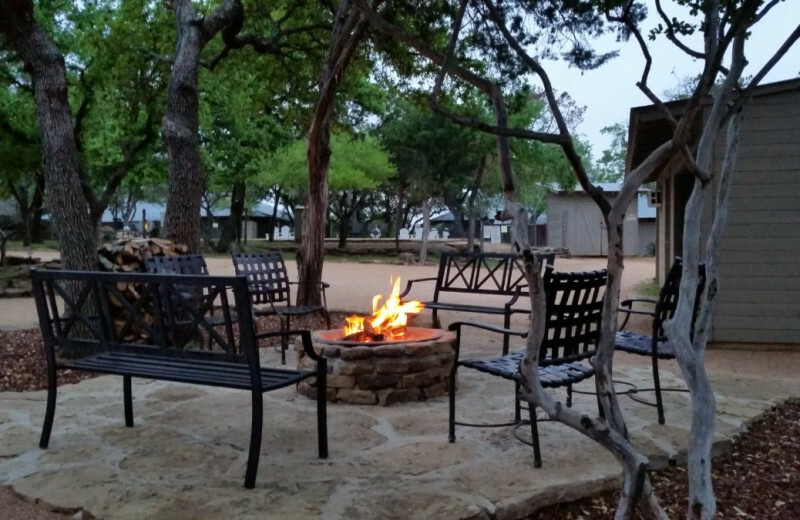 Canyon of the Eagles Nature Resort is a luxury Texas Hill Country resort and nature park rolled into one, creating an escape perfect for nature-loving and thrill-seeking families. 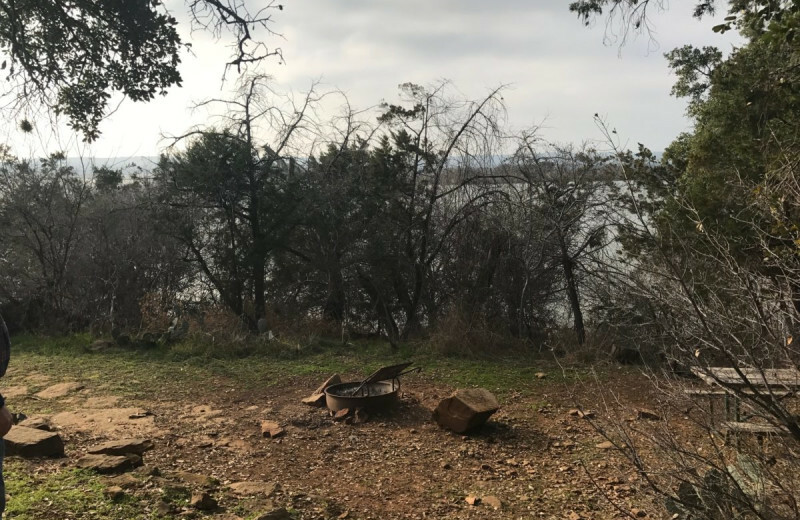 Visit the many hiking and biking trails, go fishing, kayaking, or paddle boarding on Lake Buchanan, or take a Canyon Cruise of the Colorado River Canyon! 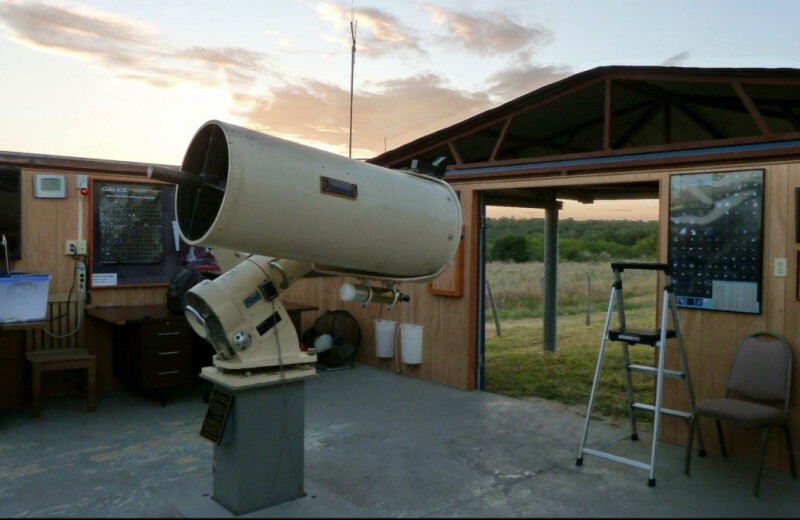 The onsite astronomical observatory is a great place for star-gazing in a dark sky setting and there are many other children's nature and craft programs. 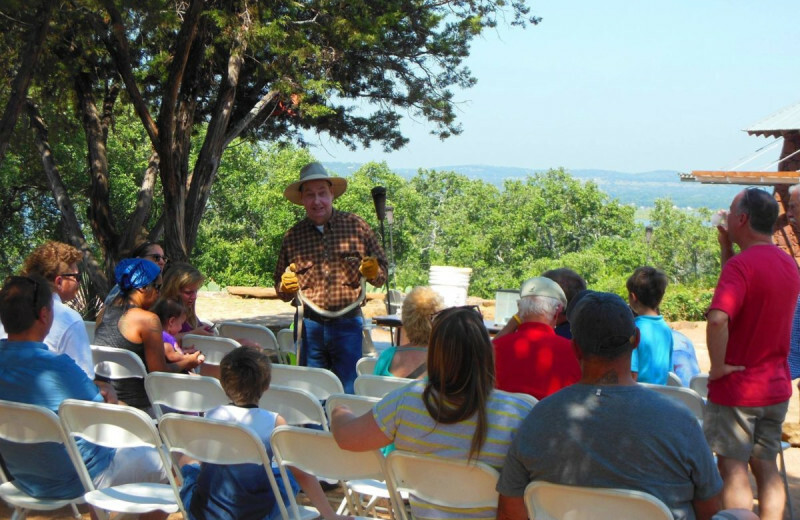 Come and make some great family memories at this Texas Hill Country destination! 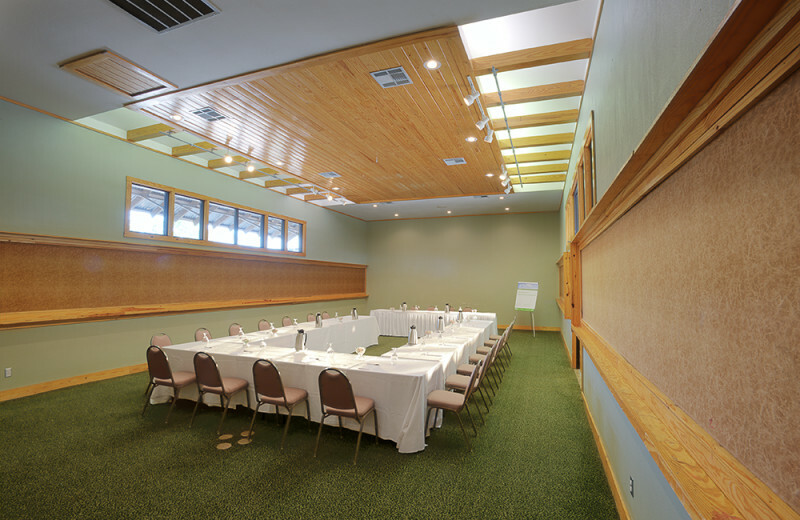 There are both indoor and outdoor meeting venues to add variety to your meeting or conference. 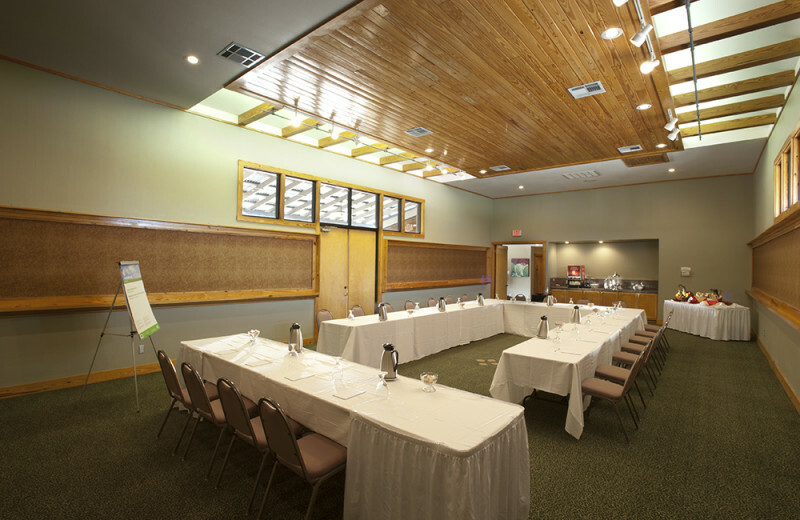 With a capacity of up to 300 persons, the Live Oak Conference Center is a superb space for any corporate or social event. Measuring over 2,900 sq. ft., its size and multiple configurations are easily adaptable for your use. 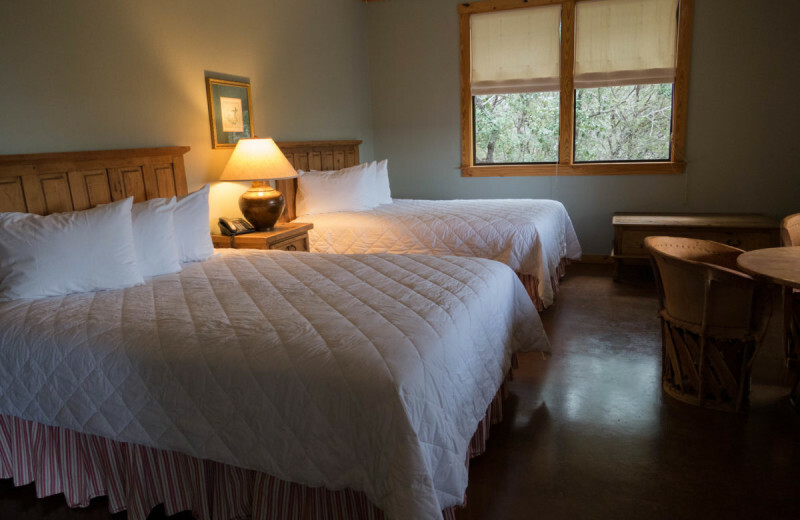 If you'd prefer something a little cozier, you'll love the Bluebonnet Meeting Room. With a capacity of 125 persons, it's ideal for intimate gatherings or corporate meetings! 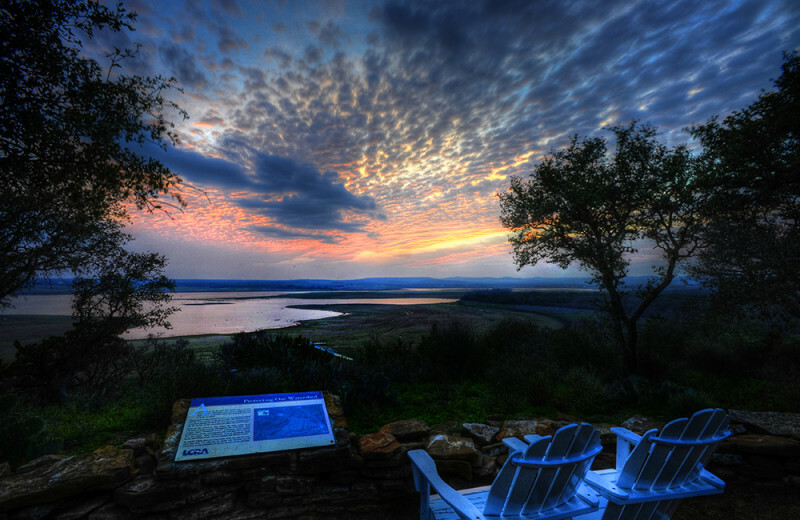 Outdoor meetings can be held on the Overlook deck or patio, Sunset Point or at the Park Store. 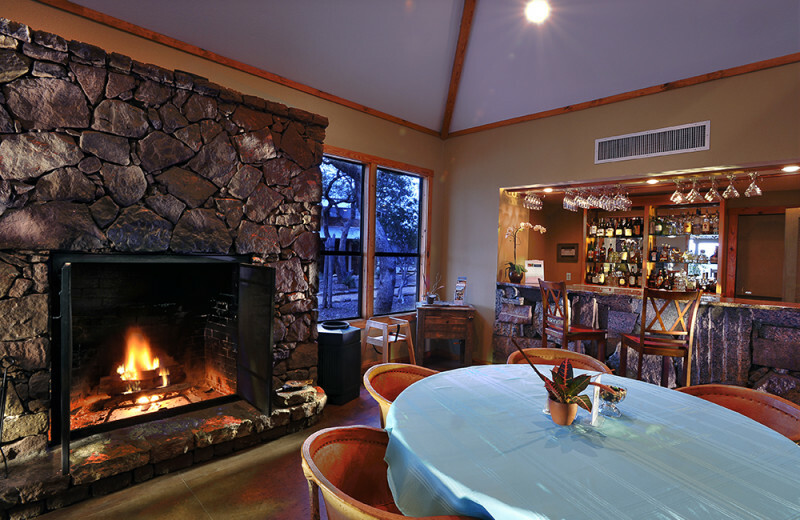 Your meeting at the Canyon of the Eagles Nature Resort will be one to remember. 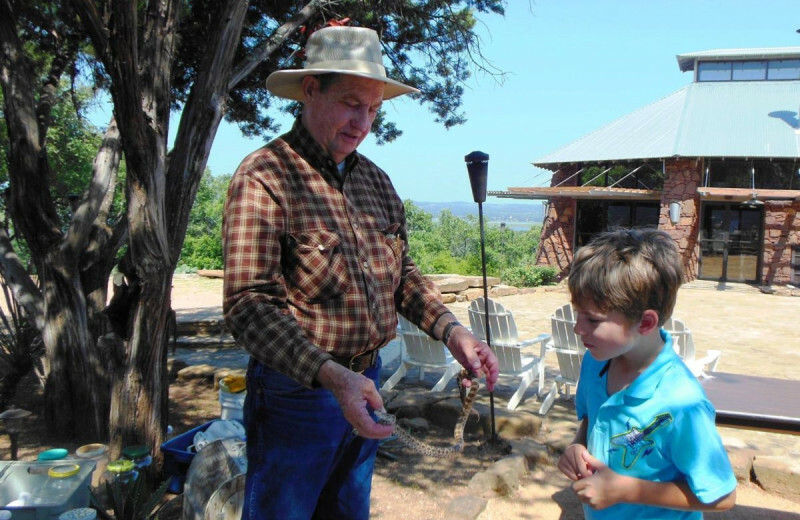 Bring together the whole family for an exceptional Hill Country reunion! 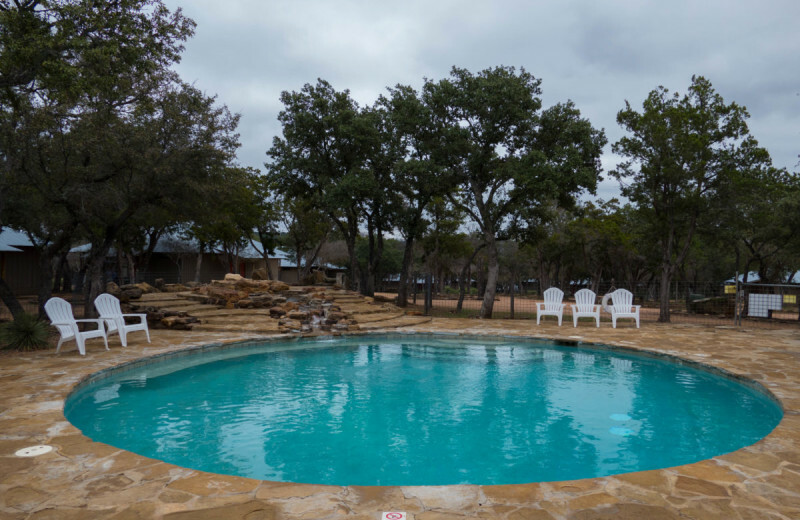 Canyon of the Eagles Nature Resort variety of thrilling outdoor activities including kayak rentals, Canyon Cruises, yoga classes, live entertainment on weekends, 14 miles of hiking trails and a world-class astronomical observatory. 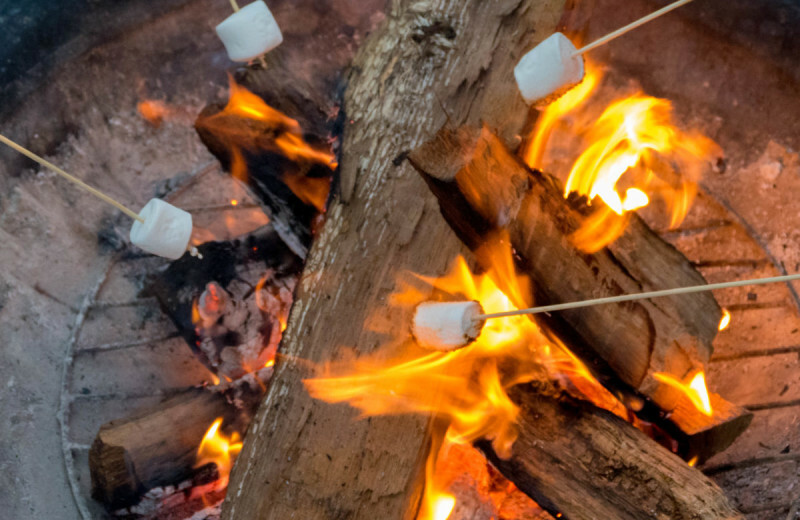 Park programs for the children and an on-site, full-service restaurant will add to the entertainment. 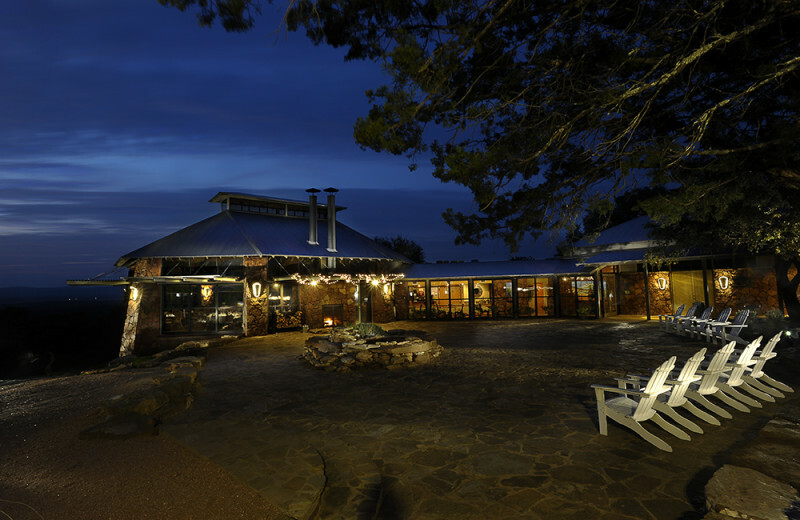 Catered meals provided by the Overlook Restaurant are sure to keep everyone happy, no matter their tastes! 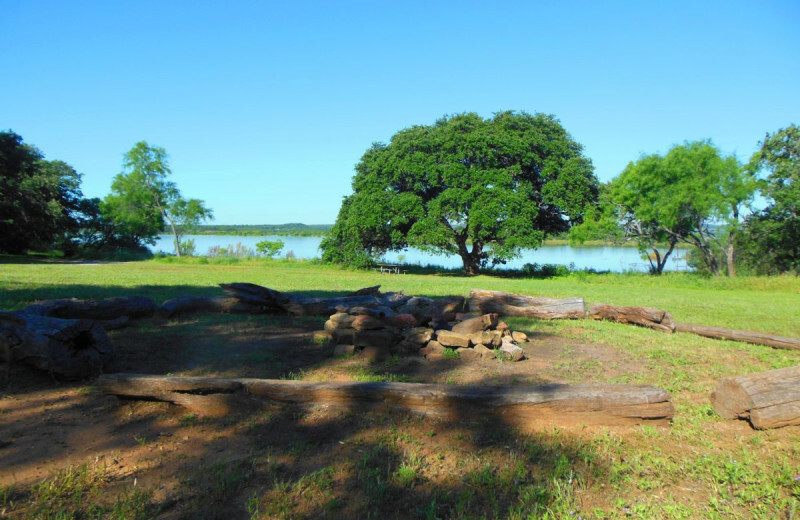 This is truly the perfect destination for great family bonding and relaxation. 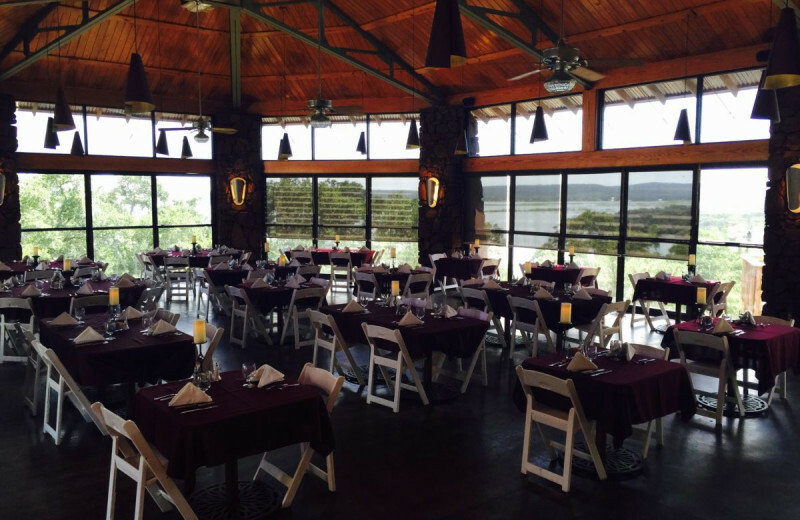 Tie the knot in one of Canyon of the Eagles Nature Resort’s first-class venues. 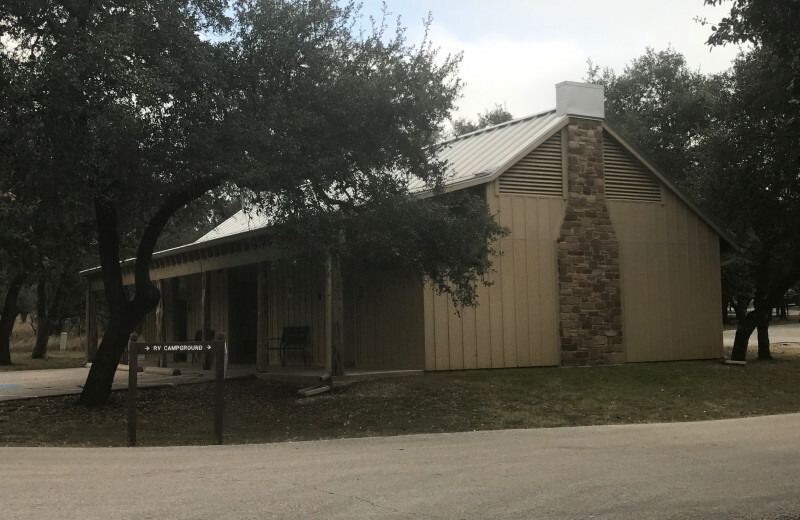 Sunset Point offers a breathtaking lake and valley view, while the Live Oak Conference Center is a large reception hall worth your consideration. 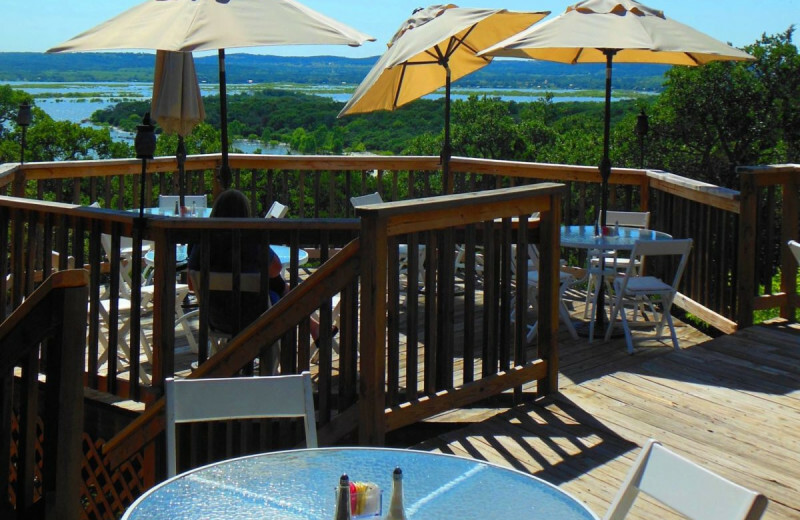 If the weather is good, hold your reception outside on the glorious Main Patio or on the picturesque deck! 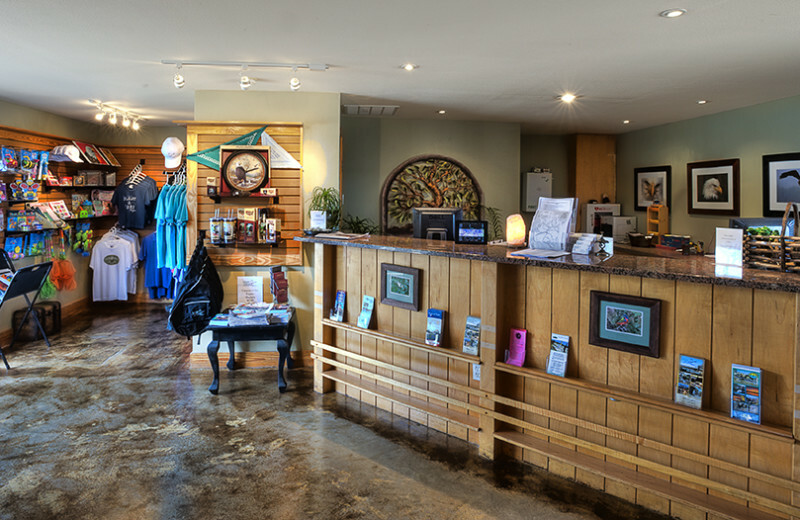 The friendly, knowledgeable staff at Canyon of the Eagles will be there every step of the way! 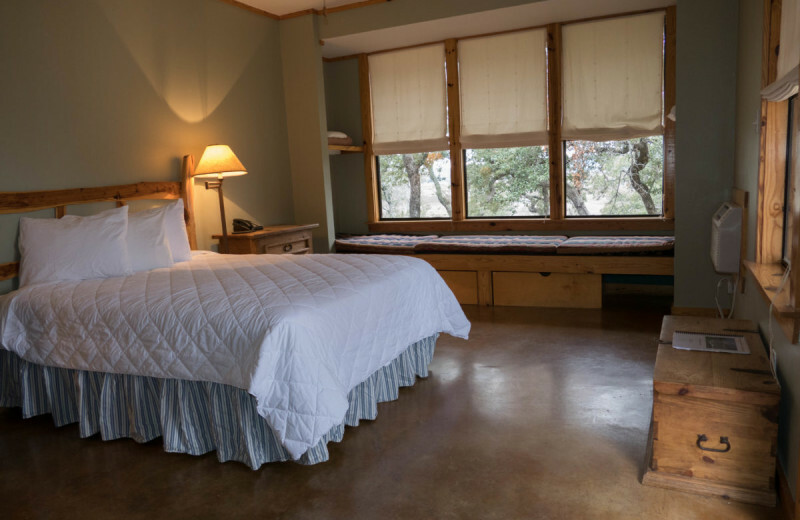 A nature-lover's dream vacation awaits at Canyon of the Eagles Nature Resort. 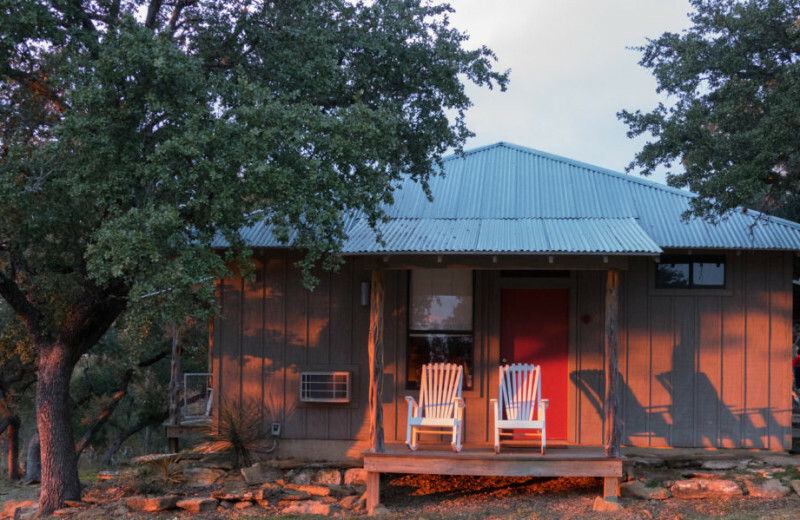 This Hill Country destination is over 940 acres and is teeming with wildlife and endless outdoor adventure. 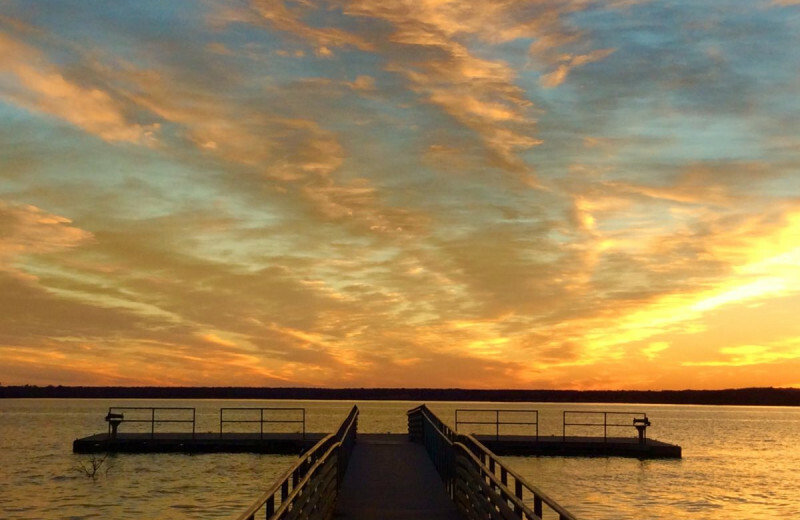 Lace up your boots and head to the fourteen miles of designated, lakeside hiking and biking trails or take out a kayak or paddle board on a Lake Buchanan excursion. 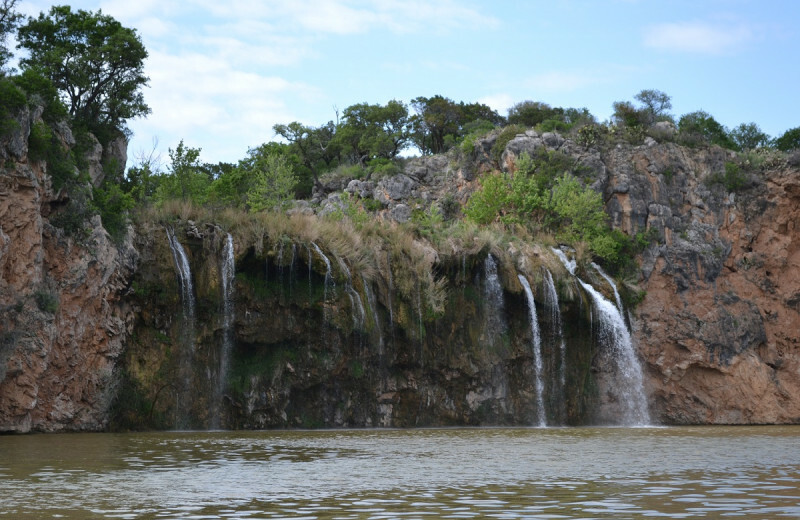 The Canyon Cruise is a two-hour scenic adventure to see the wild life and waterfalls that feed Lake Buchanan. There's no better place than this to get close to nature! 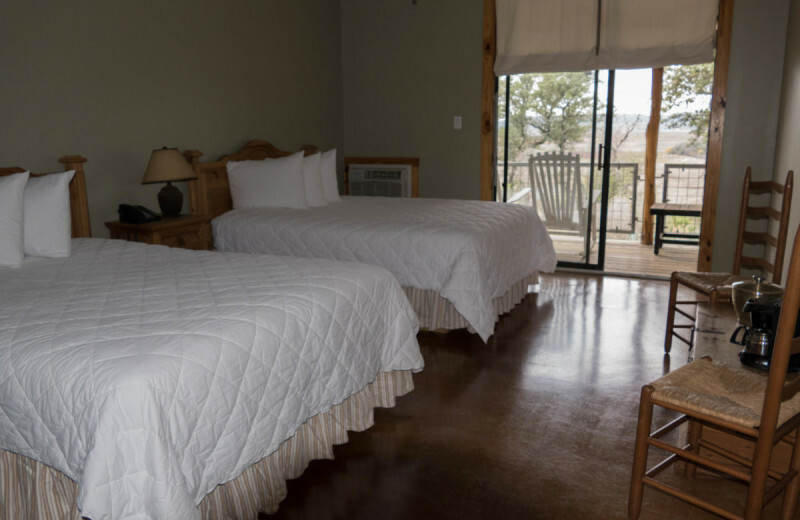 Stay in a cozy guestroom at Canyon of the Eagles Nature Resort on the shores of Lake Buchanan for your next romantic getaway. 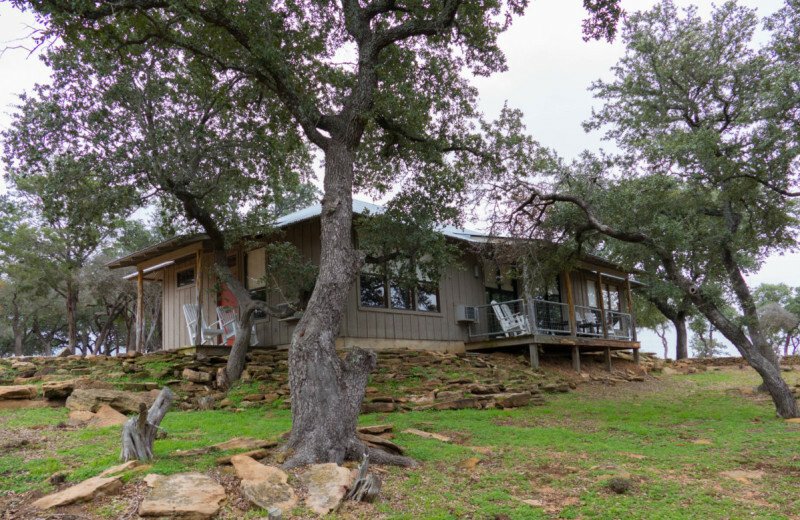 This beautiful Hill Country destination offers a place to escape the hustle and bustle of everyday life and allows you to focus solely on each other. 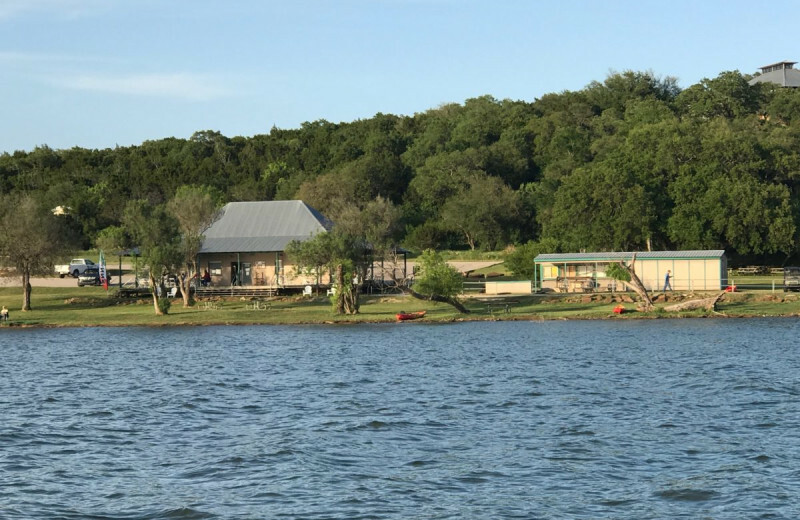 Explore the stunning natural setting on over fourteen miles of hiking and biking trails, enjoy a kayaking or paddle boarding trip on Lake Buchanan, or indulge in an intimate picnic at sunset along the lake’s shore. It's a romantic vacation you won't want to end! 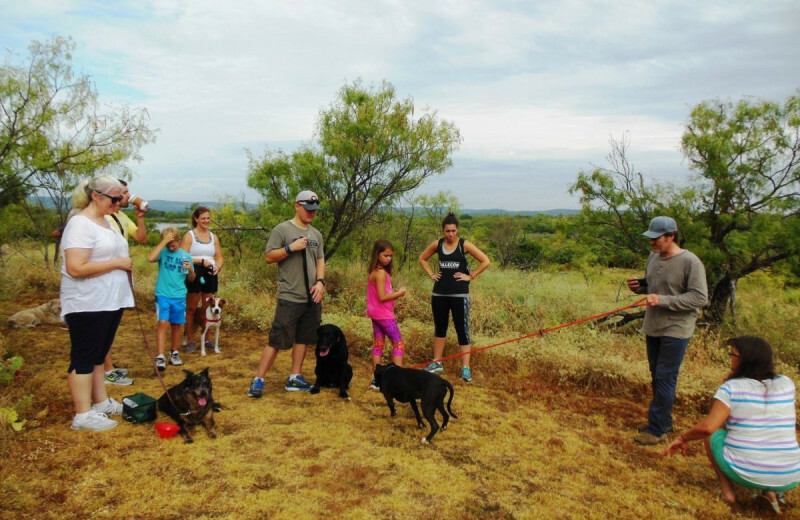 Don't worry about leaving your favorite pet behind on your Hill Country vacation. 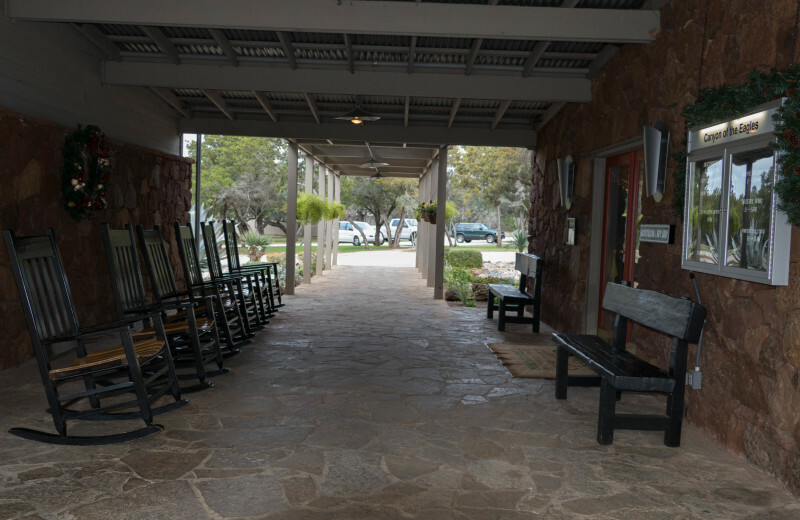 Canyon of the Eagles Nature Resort offers pet-friendly accommodations for those who prefer to travel with their four-legged companion. For more information regarding their pet rates and restrictions, please contact the resort. 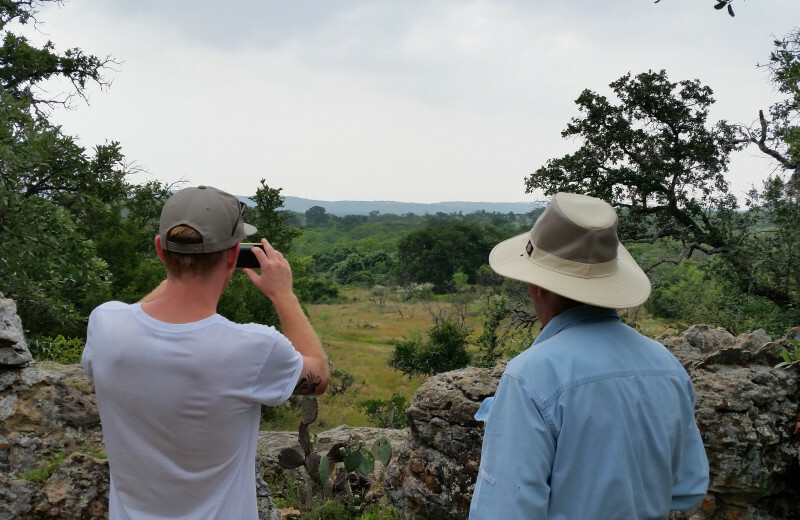 Located on a 940-acre private nature resort teeming with life, Canyon of the Eagles is full of adventurous opportunities. 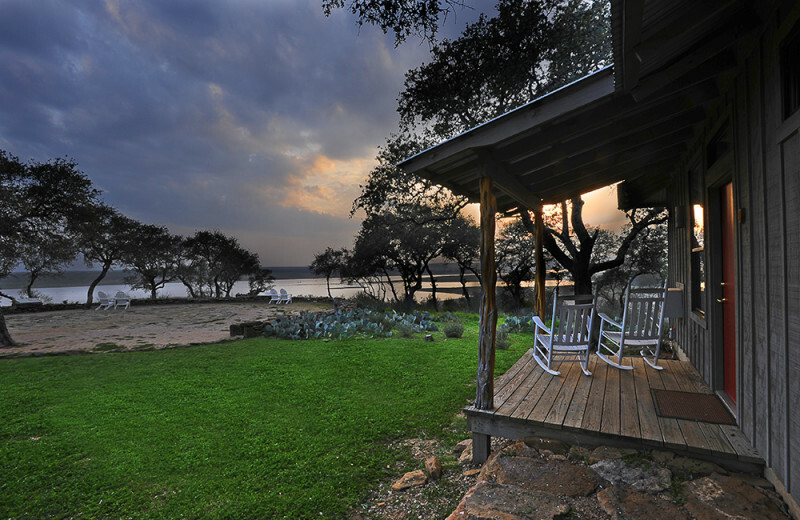 Here, you can truly escape the noisy cities and bask in the natural setting of the Texas Hill Country. 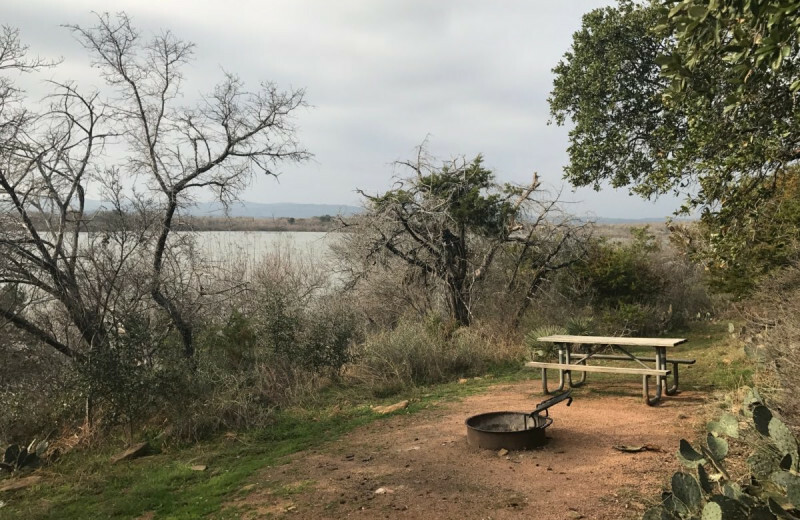 Enjoy hiking and biking through 14 miles of designated nature trails or take a kayak, paddle board, or our Canyon Cruise out for a lake side adventure. 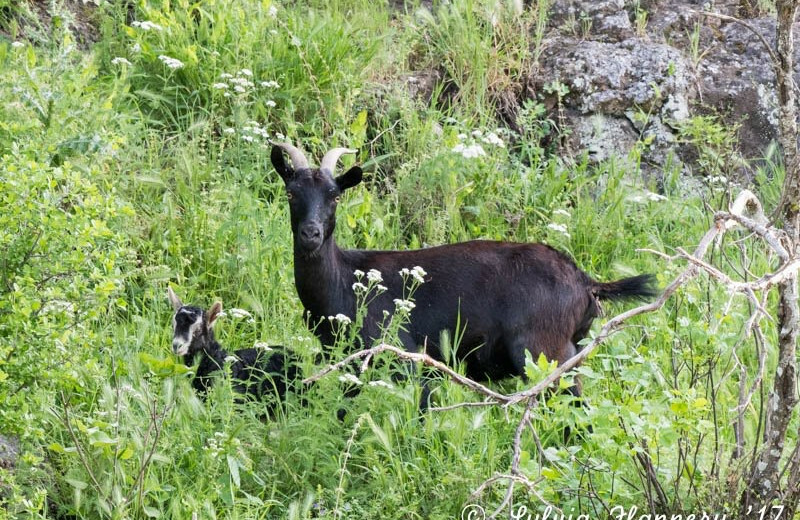 It's your chance to discover nature! 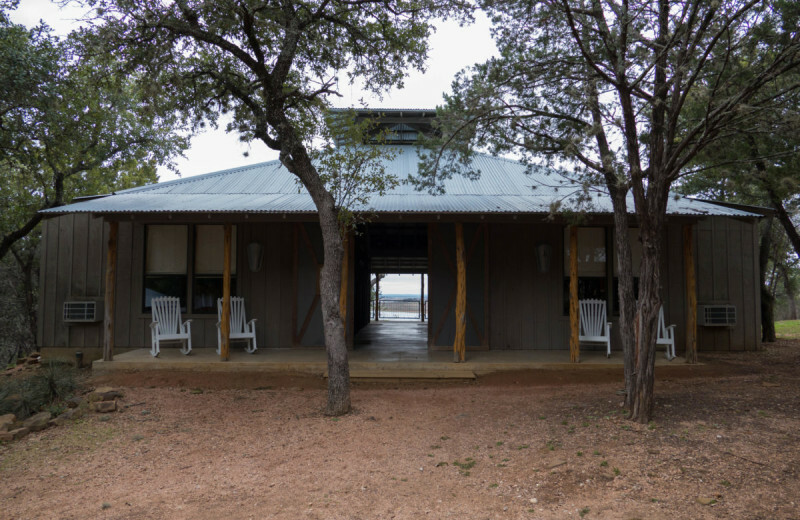 Canyon of the Eagles Nature Resort sits along the shore of the beautiful Lake Buchanan. 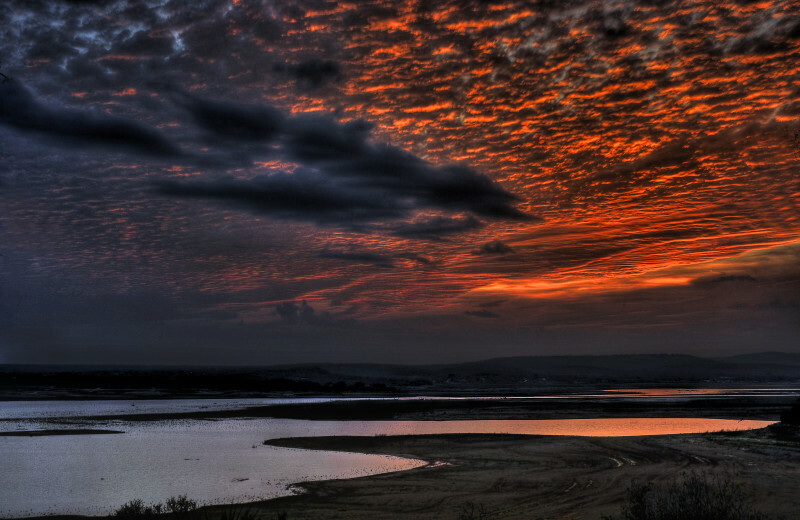 Here you can explore the gentle waters in a variety of ways. 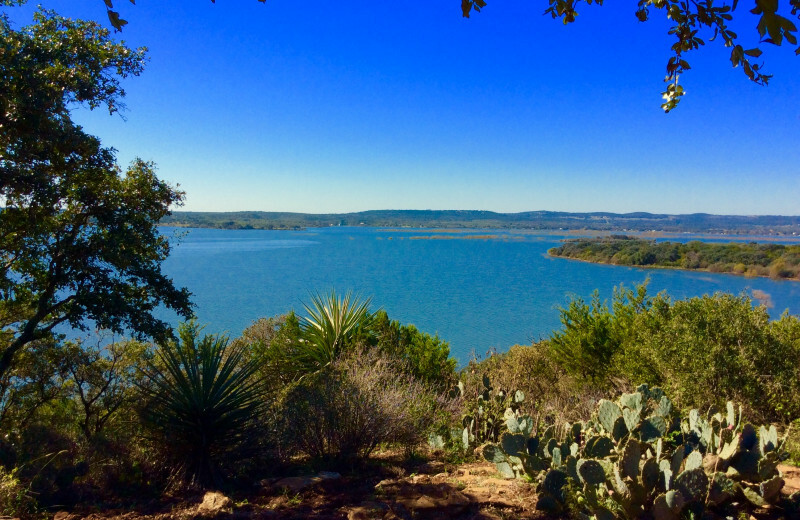 Take out a kayak or paddle board for a quiet afternoon cruise and bask in the views of the Texas Hill Country. Fish from the dock or make a day of it with a fishing guide or go out on our scenic Canyon Cruise. If you're looking for a more relaxing day, indulge in a picnic on the shore, bask in the sun next to the pool, or stroll down the beach as the sun sets on the horizon. 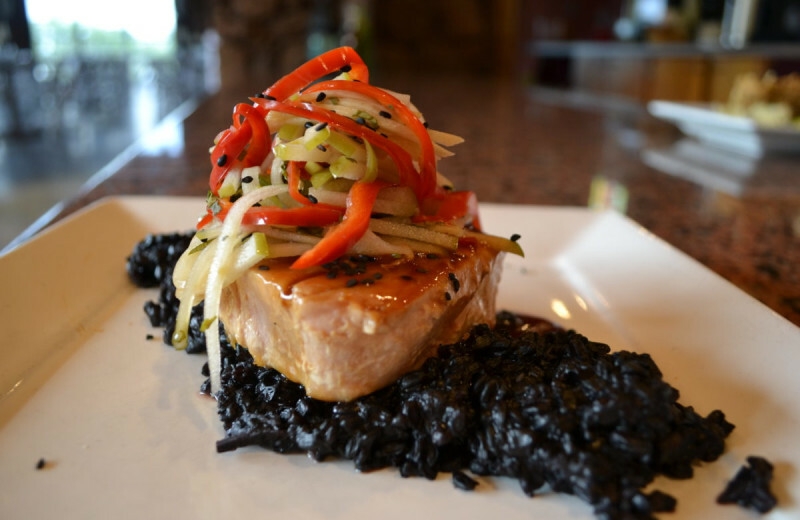 Nothing says honeymoon like a dollop of luxury, and you'll find that in abundance at The Overlook Restaurant! 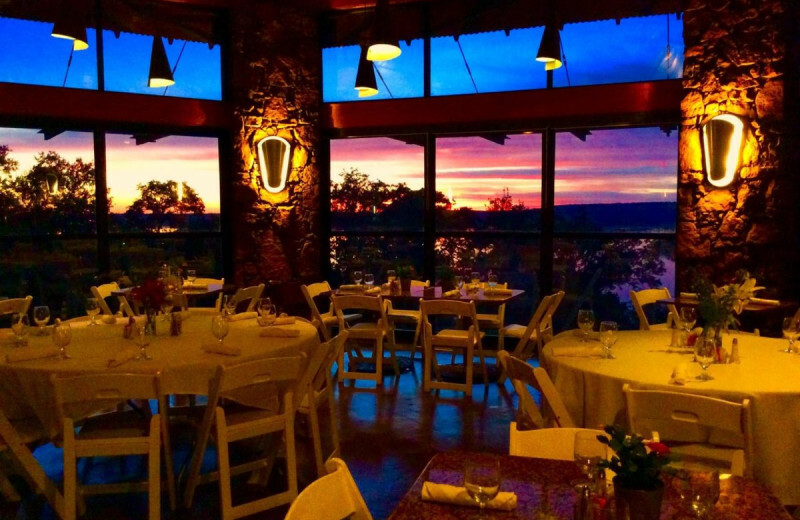 Enjoy spectacular sunsets, and panoramic views while savoring delicious, fresh cuisine with an emphasis on steaks and seafood featuring a Hill Country twist. 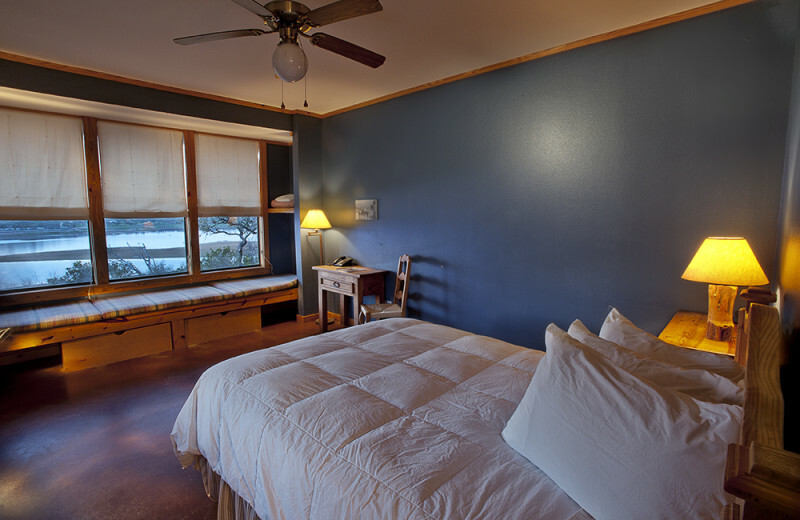 Afterwards, return to your rustic accommodations or take a dip in the pool. 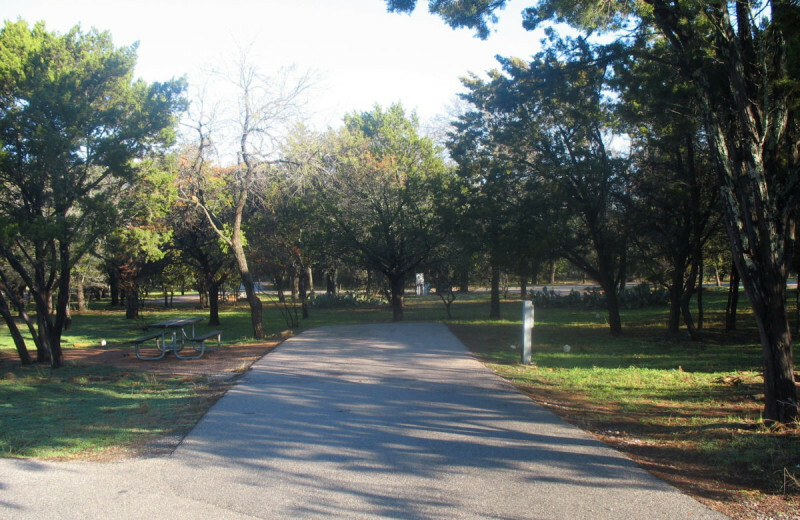 Take a walk to Sunset Point or stroll along the lake shore to enjoy a truly beautiful and memorable environment in which to celebrate each other. 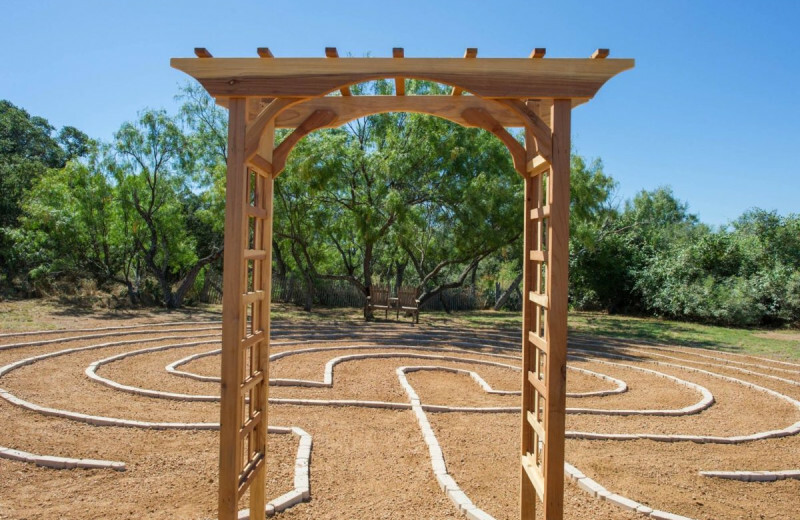 Exploring 940 acres of a nature resort lends itself to discovery and wellness; sometimes the best thing for your health is to let go of your day-to-day pressures and reconnect with Mother Nature. 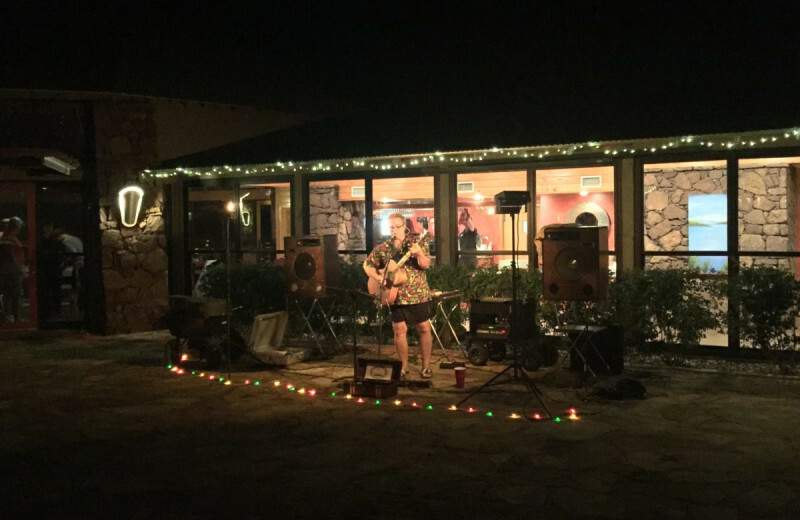 Canyon of the Eagles is the perfect place to do so! 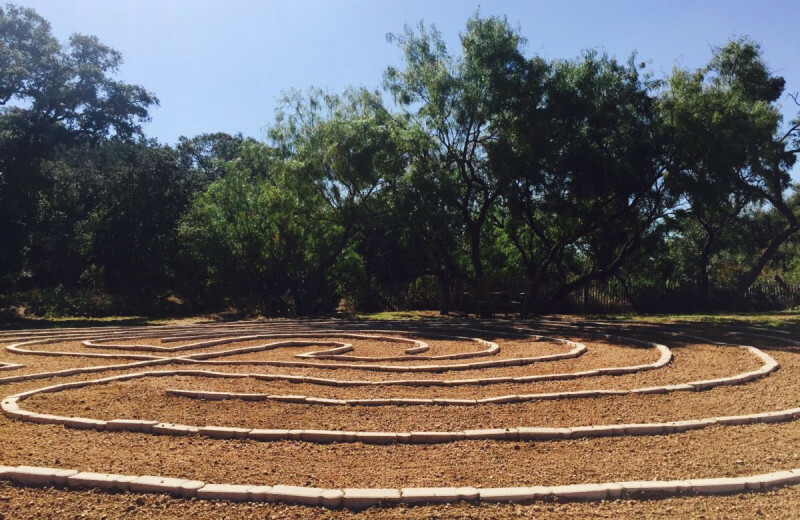 Whether that means hiking or biking through the woods, meditation by the beautify Lake Buchanan, participating in a yoga class or walking along the resort's own lakeside Labyrinth, that's entirely up to you! 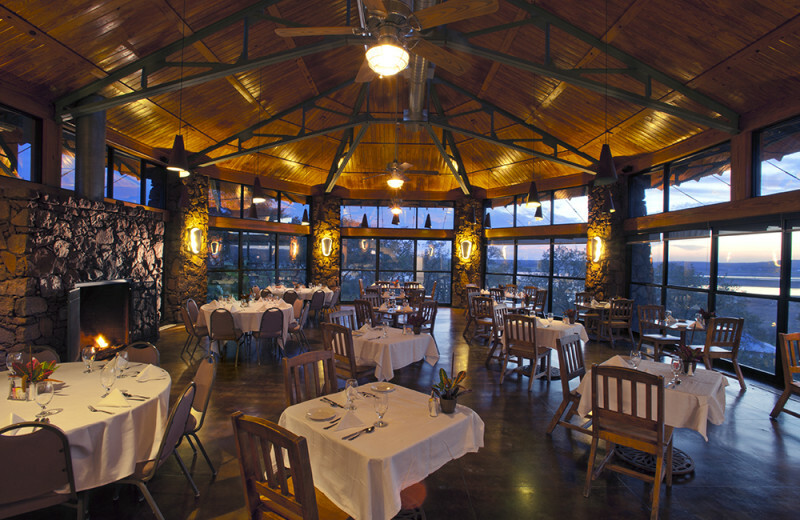 On Thanksgiving, Christmas Day, and other select holiday, Canyon of the Eagles Nature Resort hosts superb dinners for our guests. 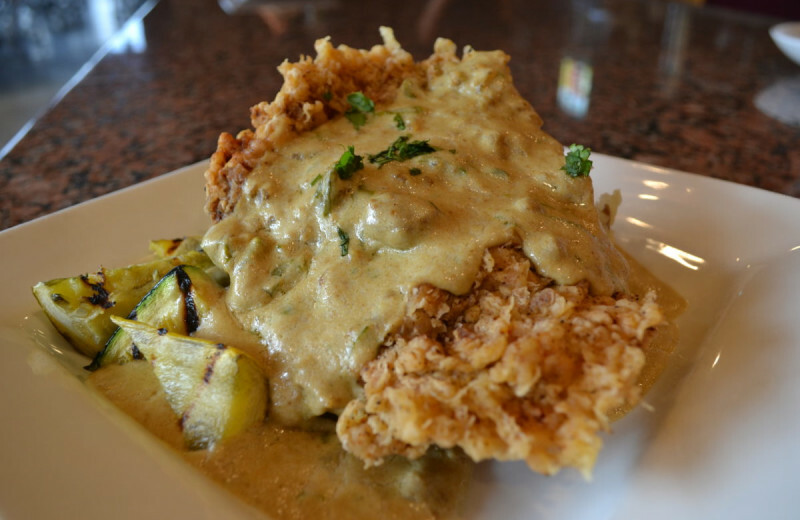 Spend the day enjoying the outdoors, and when you return you'll have a meal fit for royalty. 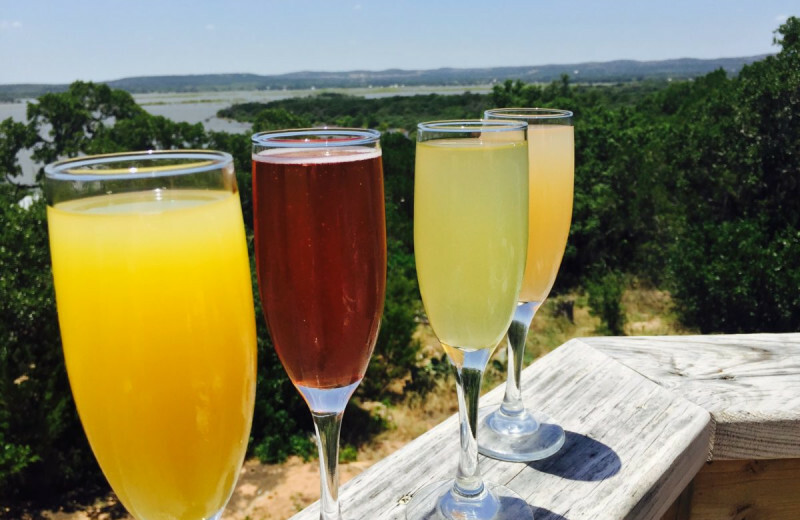 Of course, the city of Burnet itself is in no short supply of holiday fun, so get out and experience it for yourself! 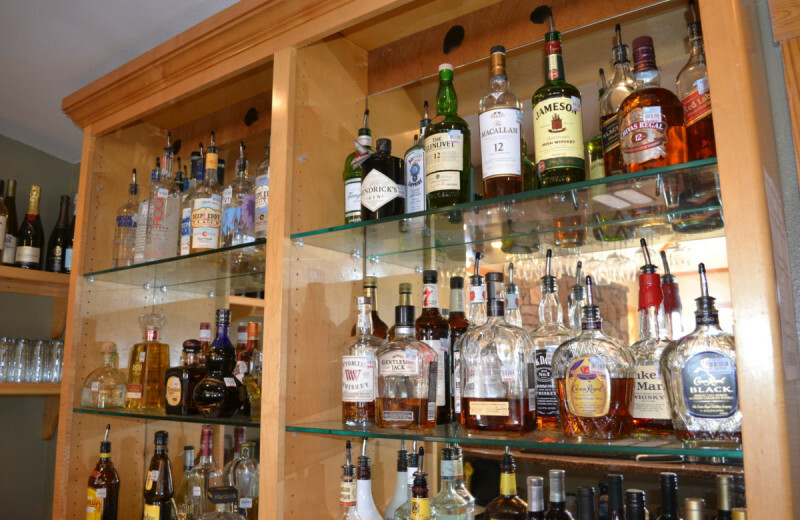 Special days like Easter and the Fourth of July feature special buffets and menus to celebrate the occasion. Check out their website for details. 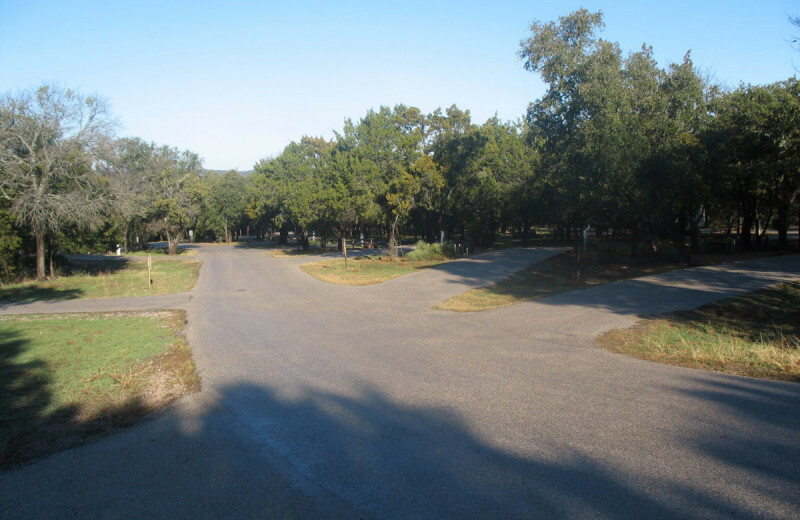 Canyon of the Eagles Nature Resort’s RV Park can accommodate large rigs on asphalt pads of 40 feet+ and features a wide range of amenities to make your trip as comfortable as possible. 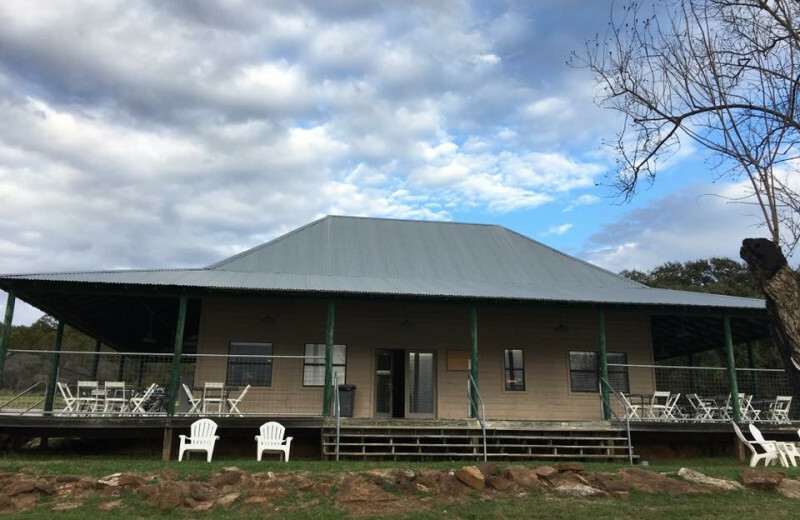 There are 23 sites, 30/50 AMP plug-ins, full hook-up, picnic tables, fire rings, and a bathhouse featuring individual, enclosed showers and restrooms. 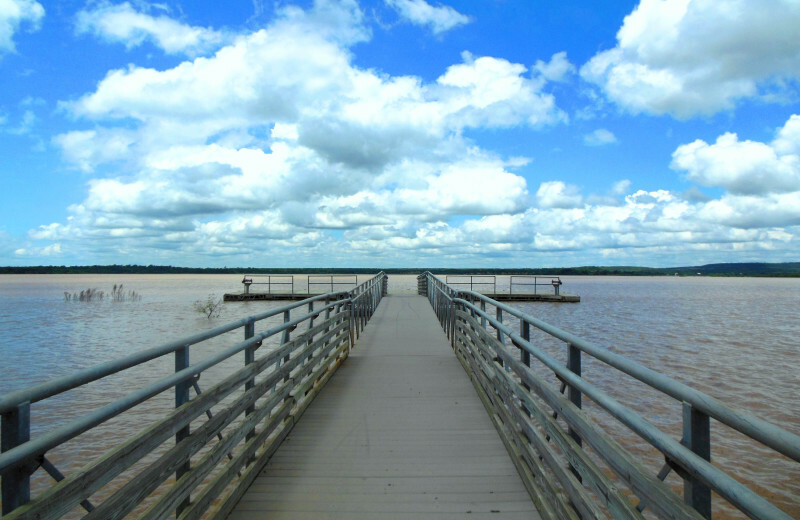 You can take advantage of the many park programs and amenities for both adults and children. 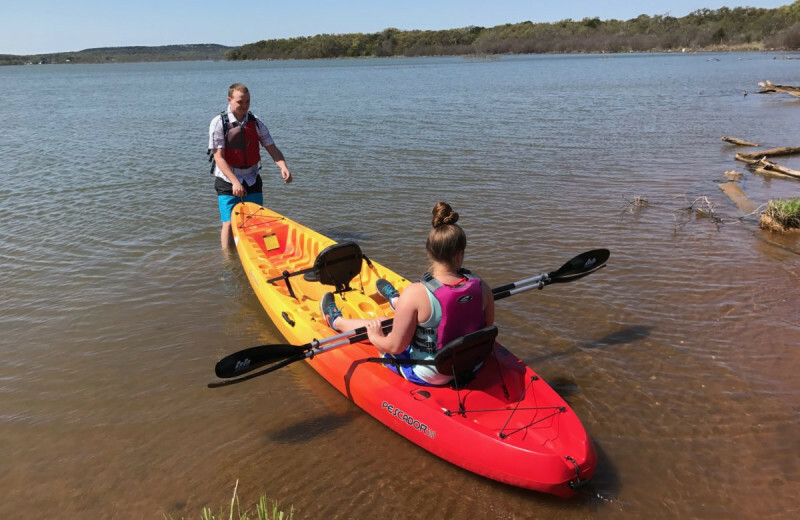 Swimming, hiking, biking, kayak, paddle boarding, and other special programs can be included in the agenda. 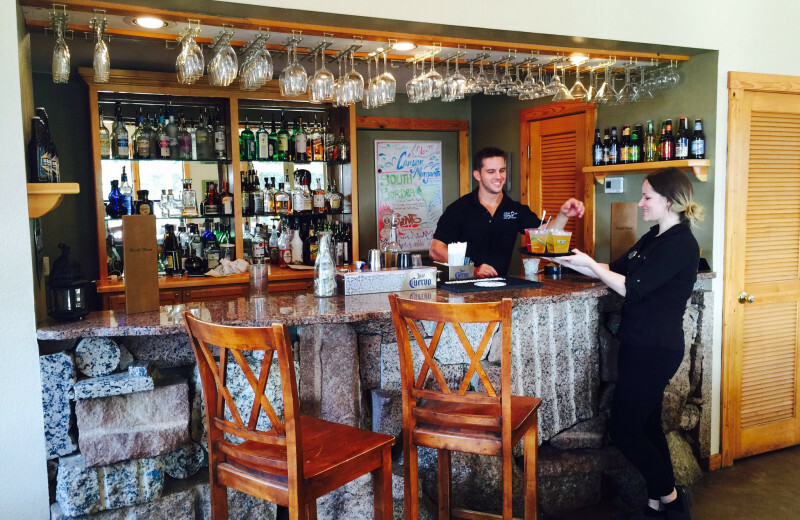 You can do your own cooking or enjoy excellent meals at the Overlook Restaurant, open daily for breakfast, lunch and dinner. 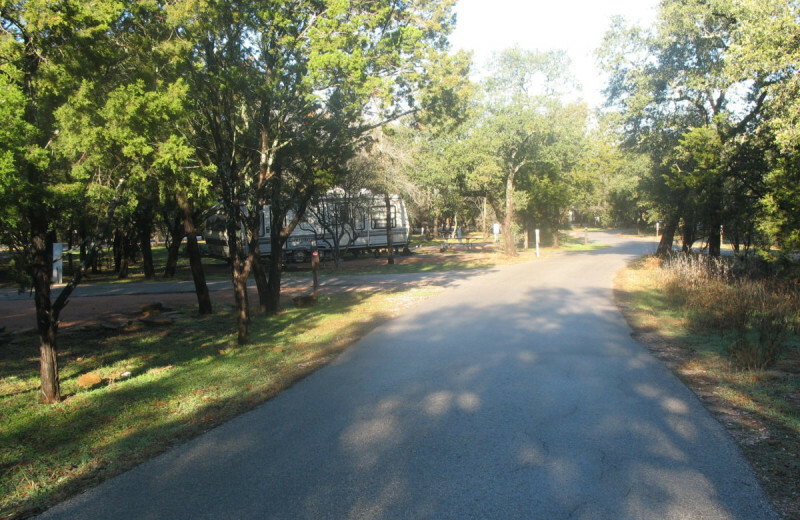 This property is ranked number 6 on Top Lake Buchanan Cabins and Resorts. Read about it here.